Mephiston is a beast on the table, and despite not being an Independent Character (and thus can't join other units) he still a viable choice in lots of (non-competitive) lists. Getting this model all painted up was fun, the level of detail in the metal model was fun. My friend loved the vials of the 'blood' and other stuff that Mephiston keeps. There are lots of little things like that. 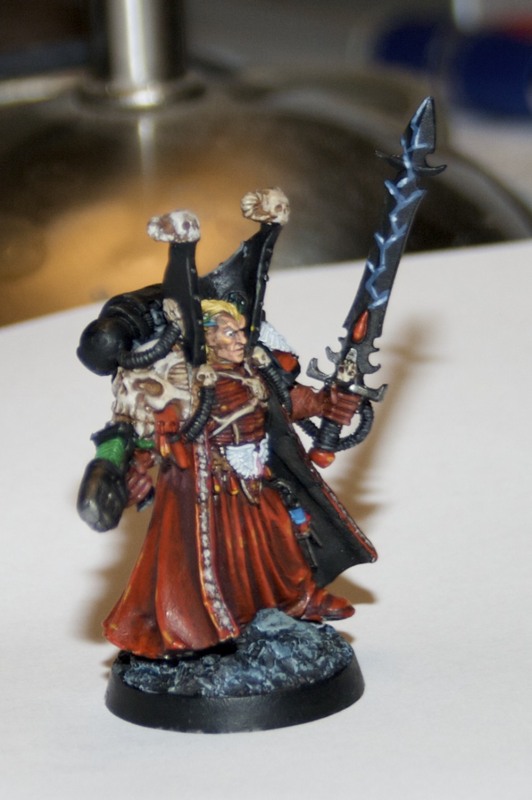 That's also a fairly old miniature too, right? 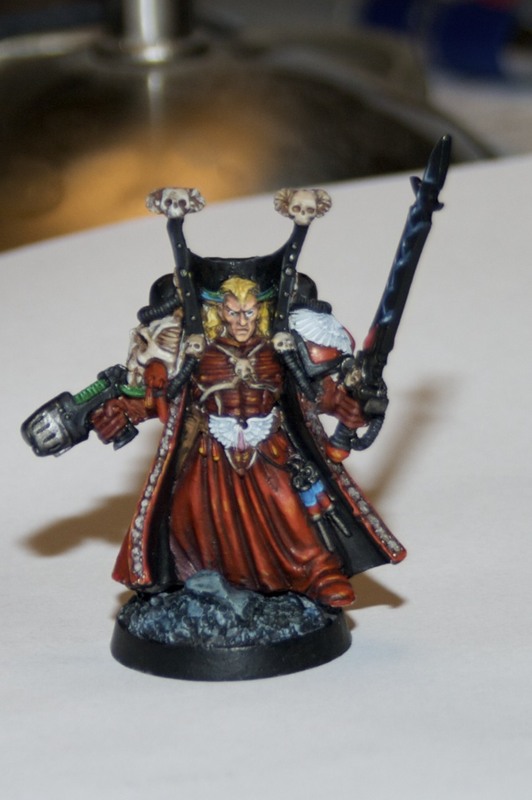 How does it compare to the newer Blood Angels that you've painted recently? Great work, DrGabe! His robes look especially good, that's such a rich color and the shading on it looks really nice. Yeah, thats an older model, but being a character model he holds up very well. I very much liked painting this guy because it is a great sculpt. Lots of shadows that are built into the model. Still the colors and sculpting match well enough to be similar to the 'newer' plastic BA sculpts.